The following blog is from MIT Technology Review and puts an alternative view on the current trend by some politicians and techies who argue that automation will create more and new jobs. Of course there will be ‘new’ jobs – but at what price? I have often stated that unions will have to harness automation, robotics etc and like electricity these developments cannot not be univented. One view is that there will be a shift in employment away from the West to the East and I think this blog sets out the reasons why China will become the AI superpower. “I took an Uber to an artificial-­intelligence conference at MIT one recent morning, and the driver asked me how long it would take for autonomous vehicles to take away his job. I told him it would happen in about 15 to 20 years. He breathed a sigh of relief. “Well, I’ll be retired by then,” he said. Good thing we weren’t in China. If a driver there had asked, I would have had to tell him he’d lose his job in about 10 years – maybe 15 if he was lucky. First, China has a huge army of young people coming into AI. Over the past decade, the number of AI publications by Chinese authors has doubled. Young AI engineers from Face++, a Chinese face-recognition start up, recently won first place in three computer-vision challenges – ahead of teams from Google, Microsoft, Facebook, and Carnegie Mellon University. Second, China has more data than the US- way more. Data is what makes AI go. A very good scientist with a ton of data will beat a super scientist with a modest amount of data. China has the most mobile phones and internet users in the world- triple the number in the United States. But the gap is even bigger than that because of the way people in China use their devices. People there carry no cash. They pay all their utility bills with their phones. They can do all their shopping on their phones. You get off work and open an app to order food. By the time you reach home, the food is right there, hot off the electric motorbike. In China, shared bicycles generate 30 terabytes of sensor data in their 50 million paid rides per day– that’s roughly 300 times the data being generated in the US. Third, Chinese AI companies have passed the copycat phase. Fifteen years ago almost every decent start up in China was simply copying the functionality, look, and feel of products offered in the US. But all that copying taught eager Chinese entrepreneurs how to become good product managers, and now they’re on to the next stage: exceeding their overseas counterparts. Even today, Weibo is better than Twitter. WeChat delivers a way better experience than Facebook Messenger. The rise of China as an AI superpower isn’t a big deal just for China. 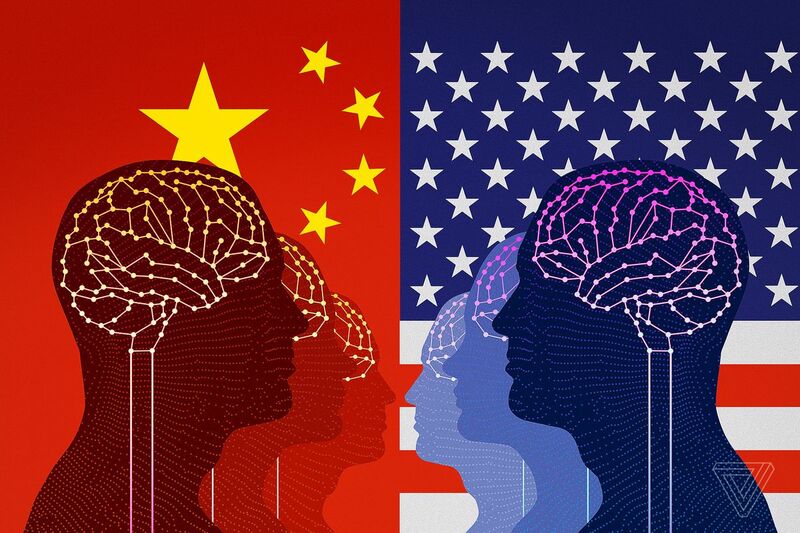 The competition between the US and China has sparked intense advances in AI that will be impossible to stop anywhere. The change will be massive, and not all of it good. Inequality will widen. As my Uber driver in Cambridge has already intuited, AI will displace a large number of jobs, which will cause social discontent. Consider the progress of Google DeepMind’s AlphaGo software, which beat the best human players of the board game Go in early 2016. It was subsequently bested by AlphaGo Zero, introduced in 2017, which learned by playing games against itself and within 40 days was superior to all the earlier versions. Now imagine those improvements transferring to areas like customer service, telemarketing, assembly lines, reception desks, truck driving, and other routine blue-collar and white-­collar work. It will soon be obvious that half of our job tasks can be done better at almost no cost by AI and robots. This will be the fastest transition humankind has experienced, and we’re not ready for it. But UBI doesn’t address people’s loss of dignity or meet their need to feel useful. It’s just a convenient way for a beneficiary of the AI revolution to sit back and do nothing. And finally, there are those who deny that AI has any downside at all – which is the position taken by many of the largest AI companies. It’s unfortunate that AI experts aren’t trying to solve the problem. What’s worse, and unbelievably selfish, is that they actually refuse to acknowledge the problem exists in the first place. This entry was posted in Blogs, Economics, Employment Rights, Politics, The Digital Economy and Unions, Unite The Union, Workers Uniting. Bookmark the permalink.